By a News Reporter-Staff News Editor at Heart Disease Weekly -- Johns Hopkins researchers have developed a more accurate way to calculate low-density lipoprotein (LDL) cholesterol, the so-called "bad" form of blood fat that can lead to hardening of the arteries and increase the risk of heart attack and stroke. If confirmed and adopted by medical laboratories that routinely calculate blood cholesterol for patients, the researchers say their formula would give patients and their doctors a much more accurate assessment of LDL cholesterol (see also Cholesterol). "The standard formula that has been used for decades to calculate LDL cholesterol often underestimates LDL where accuracy matters most - in the range considered desirable for patients at high risk for heart attack and stroke," says Seth S. Martin, M.D., a cardiology fellow at the Johns Hopkins Ciccarone Center for the Prevention of Heart Disease. Martin is first author of the study detailed in a Nov. 19, 2013 article in the Journal of the American Medical Association. Many studies have shown that higher levels of LDL cholesterol signal greater risk of plaque accumulating in heart arteries. Since 1972, a formula called the Friedewald equation has been used to gauge LDL cholesterol. It is an estimate rather than a direct measurement. However, physicians use the number to assess their patients' risk and determine the best course of treatment. The Friedewald equation estimates LDL cholesterol with the following formula: total cholesterol minus HDL cholesterol minus triglycerides divided by five. The result is expressed in milligrams per deciliter. That equation, the researchers say, applies a one-size-fits-all factor of five to everyone; a more accurate formula would take specific details about a person's cholesterol and triglyceride levels into account. Using a database of blood lipid samples from more than 1.3 million Americans that were directly measured with a traditional and widely accepted technique known as ultracentrifugation, the researchers developed an entirely different system and created a chart that uses 180 different factors to more accurately calculate LDL cholesterol and individualize the assessment for patients. "We believe that this new system would provide a more accurate basis for decisions about treatment to prevent heart attack and stroke," says Martin. Results of the new study are built on research by the same authors from the Johns Hopkins University School of Medicine and published in the Journal of the American College of Cardiology. In that study, the researchers compared samples assessed using the Friedewald equation with a direct calculation of the LDL cholesterol. 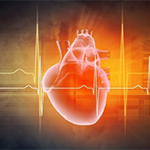 They found that in nearly one out of four samples in the "desirable" range for people with a higher heart disease risk, the Friedewald equation was not accurate. "As a result, many people - especially those with high triglyceride levels - may have a false sense of assurance that their LDL cholesterol is at an ideal level. Instead, they may need more aggressive treatment to reduce their heart disease risk," says Steven Jones, M.D., director of inpatient cardiology at The Johns Hopkins Hospital and a faculty member at the Ciccarone Center who is the senior author of the study. The lipid profiles used for the study were from a laboratory in Birmingham, Ala., which provides a detailed analysis of samples sent in by doctors across the country. Except for the age of people on whom the samples were based (59 years on average) and the gender (52 percent of the samples were from women), the patients were not identifiable to the researchers. That database was almost 3,000 times larger than the sample used to devise the Friedewald equation 43 years ago. Jones, who originated the idea to use the large laboratory database to assess the Friedewald equation, says the information was provided by the lab at no cost. The lab, Atherotech, did not provide any funding for the research or input on the calculations or study article. The database used in the study is registered on the website http://www.clinicaltrials.gov and will be an important resource for ongoing scientific investigation.